Choose from our fine-dining Sands Restaurant with Two AA Rosettes for Culinary Excellence, our Mediterranean-style Beach Club or our Hungry Gannet serving British classic recipes with a modern twist – plenty for foodies to enjoy without leaving the Estate. 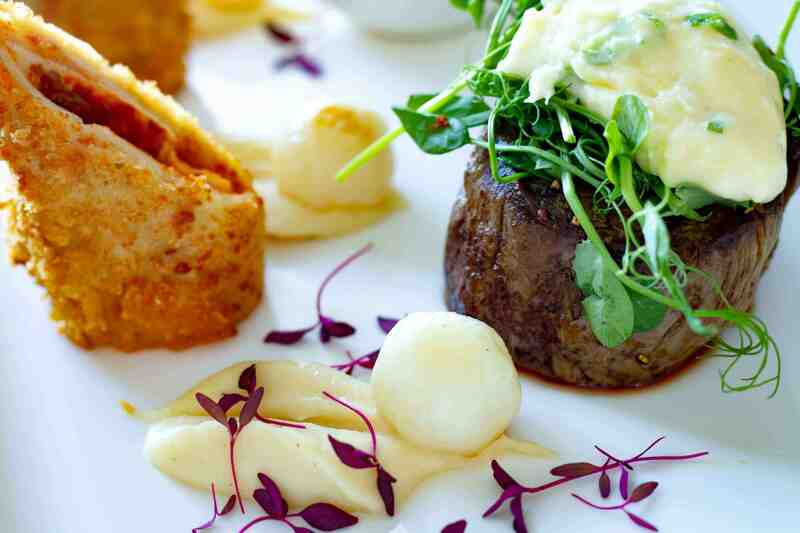 The award-winning Sands Restaurant, situated within the main house, provides fine dining at its best. Sip coffee, take afternoon tea or try tapas in this beautiful light-filled room with views to Godrevy Lighthouse. Mediterranean flavours accompanied by breathtaking sea views: enjoy the ultimate on-the-beach dining experience. Our chilled-out coastal inn on the way to St Ives is home to the Hungry Gannet. Take afternoon tea in the conservatory. You'll be greeted with stunning views across the bay. The Hungry Gannet offers hearty dishes, local ales and traditional Cornish hospitality.